four × five = Required Please enter the correct value. The Tesla stock price has surged more than 40% in the last month alone, making it one of the hottest stocks on the market. During the same time, the Dow Jones Industrial Average, S&P 500, and Nasdaq have posted gains of just 7%, 8%, and 10%, respectively. 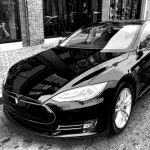 And we see those types of market-beating gains from the Tesla Motors Inc. (Nasdaq: TSLA) stock price continuing from here. 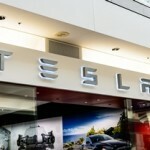 Model S Criticism Doesn't Change Anything – Tesla Stock (Nasdaq: TSLA) Still a "Buy"
Tesla Motors Inc. (Nasdaq: TSLA) has reportedly chosen a site in Nevada for the future home of the Tesla Gigafactory, a $5 billion project that is expected to revolutionize lithium-ion battery production. But that's not only good news for the state of Nevada, it's also great news for investors. Because the TSLA Gigafactory is one catalyst that will be sending TSLA shares soaring the next year. 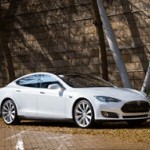 A new review released Tuesday morning from Consumer Reports said that Tesla's Model S "has more than its share of problems." 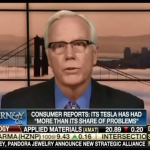 Watch the video to see why, despite the less-than-glowing review, Robinson is a huge fan of the Model S and of Tesla stock. 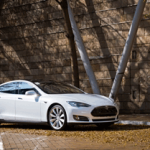 Tesla Motors Inc. (Nasdaq: TSLA) stock has seen a meteoric rise of more than 770% in the last two years as more electric vehicles (EVs) hit the road every day. New details about the Tesla Gigafactory were released today (Thursday) when Panasonic Corp. announced that it will be investing in Tesla Motors Inc.'s (Nasdaq: TSLA) new production plant. TSLA stock opened up slightly following the news. 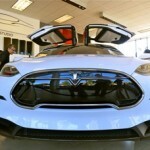 Tesla Motors Inc. (Nasdaq: TSLA) announced today (Wednesday) that it will be halting the production of its Model S sedans for two weeks so that it can upgrade its Fremont, Calif., factory and begin manufacturing its second line of vehicles: the Model X. Tesla stock rose 2% on the news in morning trading. 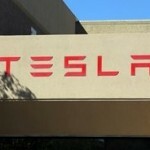 Tesla Motors Inc. (Nasdaq: TSLA) stock has come to be known for its short-term volatility, and that's precisely the case again this week. 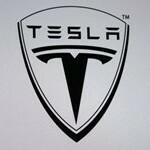 TSLA stock jumped as much as 4% yesterday (Monday) from its open price, before dipping as low as 3.7% today. And investors can expect more volatility in the short term, as seemingly every week a new story breaks that sends the stock up or down. 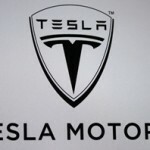 Tesla Motors Inc. (Nasdaq: TSLA) stock was up slightly in early trading today (Wednesday), reaching $224.22 this morning. That was a gain of 2% from yesterday's close. 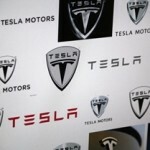 Today's initial spike was good news for TSLA stock, as it has posted a loss in the last six trading sessions. 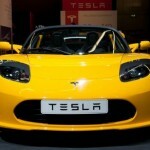 Tesla closed June 30 at $240.06, and dropped nearly 9% through yesterday's closing price. Overall, it's down 7% in July. 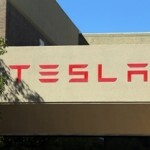 Tesla Motors Inc. (Nasdaq: TSLA) stock has gained 13% in the last two trading sessions and reached its highest price since April today (Tuesday) when the stock touched $235.54 this afternoon. Tesla stock has always been a momentum play that experiences sharp ups and downs depending on the company's news, and this week's spike is a prime example.